This lack of civility can relate to a number of environments and relationships. It is not confined to any specific social, career, or financial situation. Do think beyond what certain social groups might deem acceptable. My family is on the national Do-Not-Call List. Yet, numerous companies seem to ignore that directory, especially fraudulent organizations. I think this fact, along with pushy door-to-door sales associates, shows a huge lack of respect for my time and money. Many careers will attract a combination of individuals who do esteem others as well as those who don’t. One of my biggest pet peeves is medical and dental professionals who consider their time, opinion, and money more valuable than mine. I have plenty of experience with this, since I have a number of physical challenges. Here is another example of disrespect: Dennis told me a story about a time when he and a friend tried to buy a car. This was decades ago, when the two men would have been in their lower 20’s. Dennis’ friend had just received an inheritance from a deceased relative. So, he tried to buy a new luxury sports car—for cash--at a dealership. The sales associates scoffed at the young man’s youth and refused to believe that he could pay for a new car. Naturally the young men took their business elsewhere. She is an online friend who tried to invite members of a certain social media site to join her group of self-published authors. One lady rudely refused her request by stating that she only worked with professionals. Truly, there was no need for such discourtesy. A simple “No, thank you” would have sufficed. However, the woman couldn’t resist the chance to show that she was more important than “amateurs” (to her way of thinking). 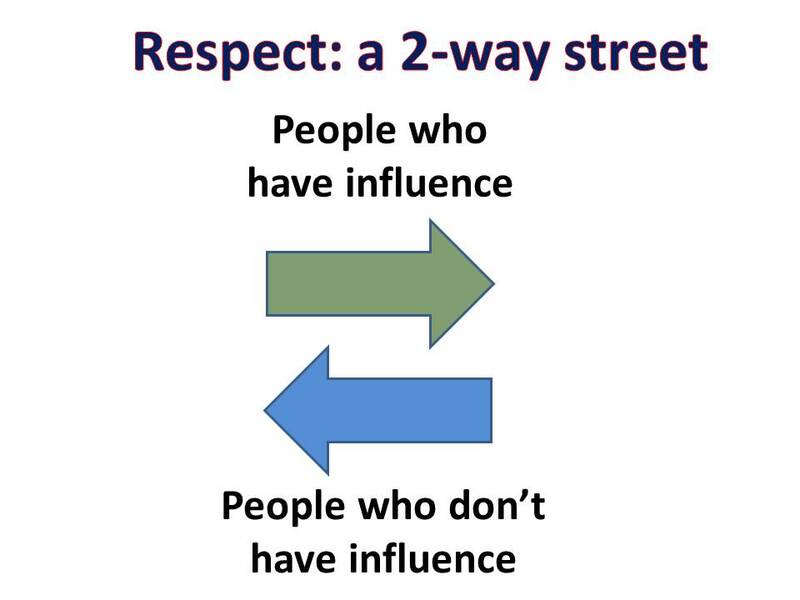 Respect is a 2-way street. Individuals who some consider to be of lesser value should not be the only ones expected to show deference. People who hold lofty positions and make a hefty salary should also show respect to everyone. We’re all in this together. Everyone has their part to play. 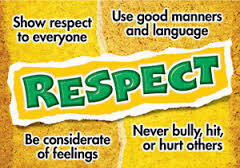 Have you been shown respect lately? Thank you for sharing your thoughts. 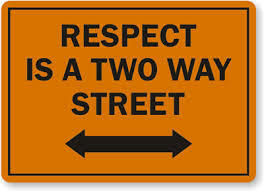 You are so right about "respect". Unfortunately, it seems like it is becoming a thing of the past (for some anyway). And I know how you feel about some in the medical profession, because I am going through that as well. Respect is one of the few things in this world that is free and makes the world, in my opinion, a happier and better place to live in. Hi, Monique! I humbly appreciate your comments! Respect is free. Yet, in a world where "time is money", some people can't be bothered to use it. I wholeheartedly agree that mutual respect would make the world a healthier, happier place in every way. Great share. Most of the time, it's not even about you or me. Some people just want to lord it over others. It's all about them and their insecurities. You know the saying, you protest too much? It's the same. They need to prove too much and this is due to lack of confidence. It is so true, that a person's character will be judged by how they talk and interact with others, regardless of position, color, capability and creed. Hi, Eeva. Thanks for your comments! You're right to say that respect is often not about the people being disrespected; it's about the person doing the disrespecting. People who are okay with themselves feel no compulsion to lord it over anybody. In the end, in this life and the next, we'll be judged by our relationships. That's the top area where we'll reap what we sow. So many individuals just don't get that. 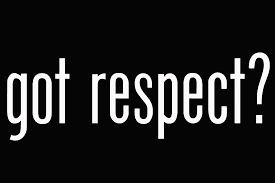 I'm not so sure it is that people think others do not deserve respect. I'm not sure that much thought goes into it It is a cycle, I think. 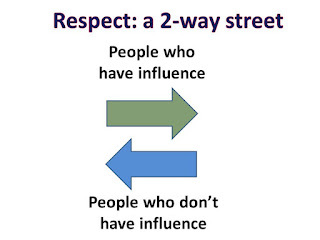 We learn respect by receiving it from others. 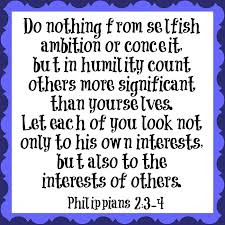 Many people don't practice common courtesy, so those around them do not learn how to implement it in their lives either. It is important to lead by example. You are right, you have to give it to get it. Hi, Rosanne! Thanks, kindly, for your comments. I agree that respect, or the lack of it, can be perpetrated in a vicious cycle. Many attitudes are all a matter of training. 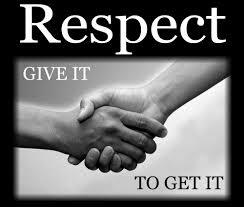 Respect is one of the many virtues we must give in order to receive.